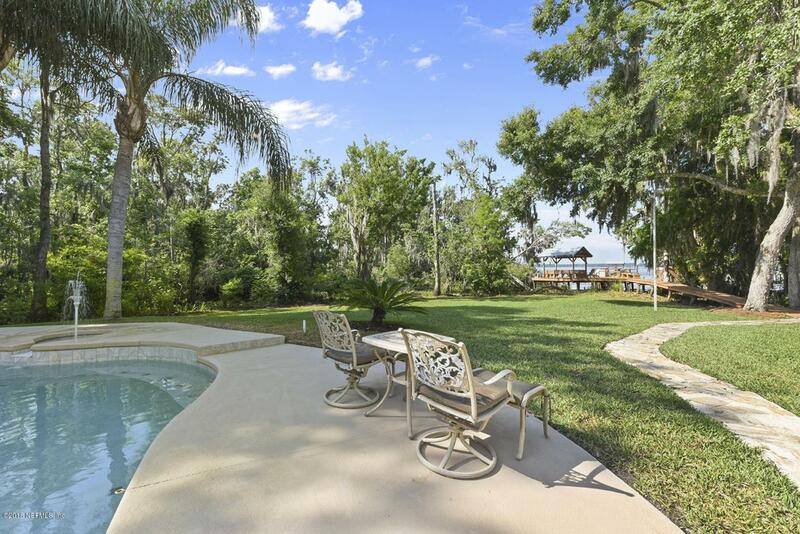 STUNNING custom built home on the St Johns River. 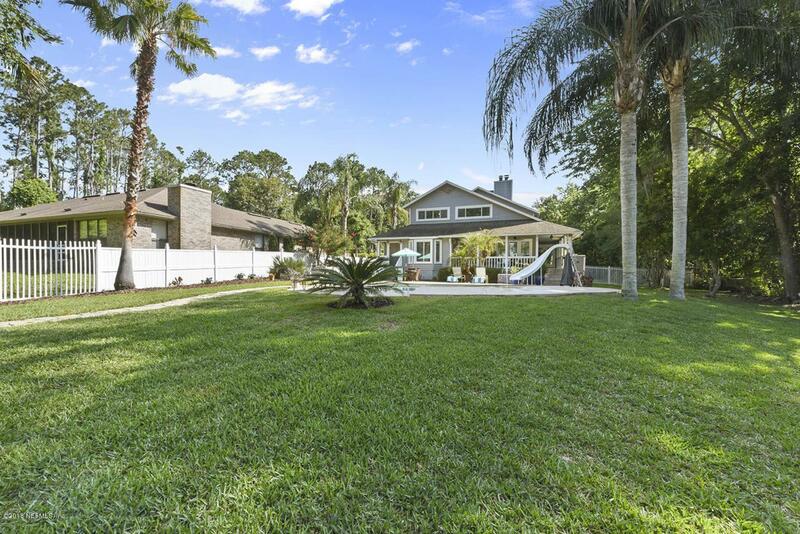 3,500 sq ft, 4 beds, 3 baths, & 2 half baths. Hardwood flooring, vaulted ceilings, Kitchen has new cabinets, granite counter-tops, 4 ovens, wine rack, & a built in refrigerator. Extensive built ins in both the living room, kitchen, and master bedroom. Master suite includes fireplace, french doors to the porch, large walk-in closet. Master bath has porcelain tile & marble. Guesthouse remodeled with tile, high end laminate, & granite counter-tops. Porch made from Brazilian Ironwood or Brazilian cherry. 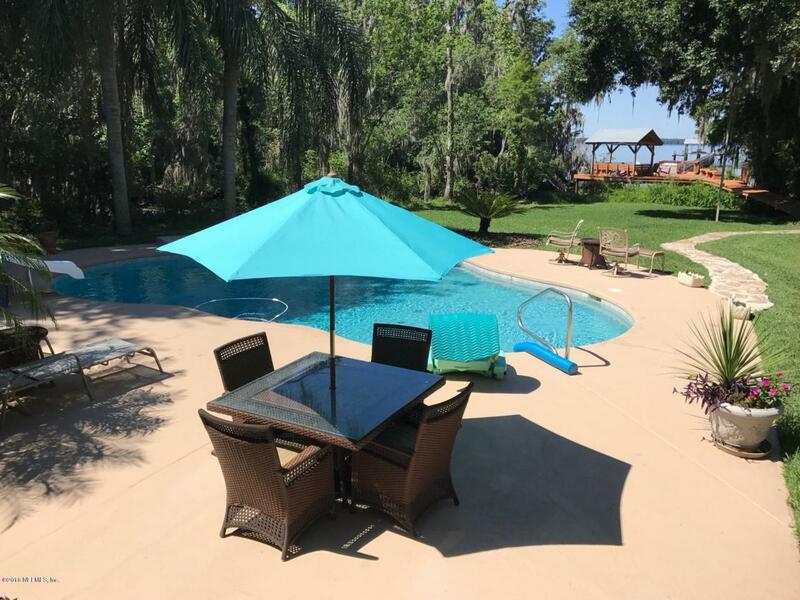 Gorgeous salt water pool, 100 front ft. of the St Johns River, and unique dock rider system. Two lifts 8k lbs & 16k lbs, covered boat lift. New well, septic, & roof on home & guest house. This home has LOTS of upgrades! !